BAR BLENDER, COMMERCIAL COCKTAIL MAKER, ICE CRUSHER, SMOOTHIES, SOUPS - 2 LITRE. 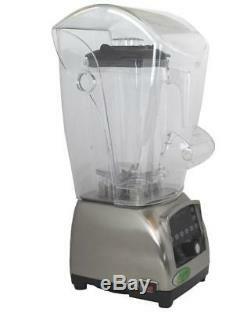 BRAND NEW COMMERCIAL GRADE BAR DRINKS BLENDER/ICE CRUSHER. PROFESSIONAL ELECTRIC BAR DRINKS BLENDER, HIGH EFFICIENCY AND ELEGANT DESIGN, POWERFULL 1500 WATT MOTOR, DIGITAL DISPLAY & CHOICE OF PRE PROGRAMMED SETTINGS. This is a commercial grade model (Non Domestic) - designed to withstand the demands of heavy duty use - ideal for blending bar drinks, cocktails, smoothies, crushed ice, soups, & sauces. SOUND COVER IS NOT INCLUDED. DIMENSIONS MM: 230(D) X 210(W) X 520 (H) APPROX. STYLISH BRUSHED STAINLESS STEEL WITH HIGH GLOSS FINISH. INCLUDES 2 LITRE MIXING JUG & FOOD PUSHER. POWERFUL 1500 WATT MOTOR, SPEEDS UPTO 37000 RPM. HIGH QUALITY STAINLESS STEEL CUTTING BLADE. HIGH & LOW PULSE FUNCTION BUTTONS. PRE SET PULSE FUNCTIONS - 8, 12, 30 & 60 SECONDS. OVER HEATING CUT OUT PROTECTION. ARD UK 3 PIN PLUG & 1.8M CORD. EASY TO USE, CLEAN & MAINTAIN. 1 YEAR ARGENTA PARTS WARRA. ALL BRAND NEW WITH A HUGE RANGE OF SPARE PARTS STOCKED AT ALL TIMES. A full VAT invoice will be provided. CREDIT/DEBIT CARD - We accept all major credit and debit cards. Please note that mainland UK does not include Northern Ireland. Argenta Catering Equipment Ltd deal soley with the sale of commercial catering equipment to the leisure & catering industry, throughout Mainland UK and Ireland. We pride ourselves on the quality of our products, high level of customer care/after sales service and the overall value which we offer our customers. Customers in the Republic of Ireland can contact our Irish office on 042 9331962. We are a family run business offering our customers a friendly and professional service, and would welcome the opportunity to discuss your individual requirements. Tailor your auctions with Auctiva's. 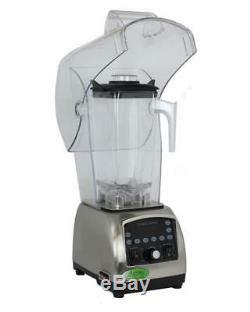 The item "BAR BLENDER, COMMERCIAL COCKTAIL MAKER, ICE CRUSHER, SMOOTHIES, SOUPS 2 LITRE" is in sale since Wednesday, November 22, 2017. This item is in the category "Business, Office & Industrial\Restaurant & Food Service\Bar/ Drinks Equipment\Blenders/ Mixers/ Juicers". 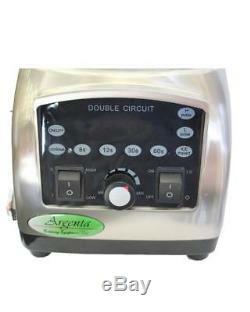 The seller is "argenta_catering_equipment" and is located in Cardiff.